Under the header ‘less is more’ architects Denc! 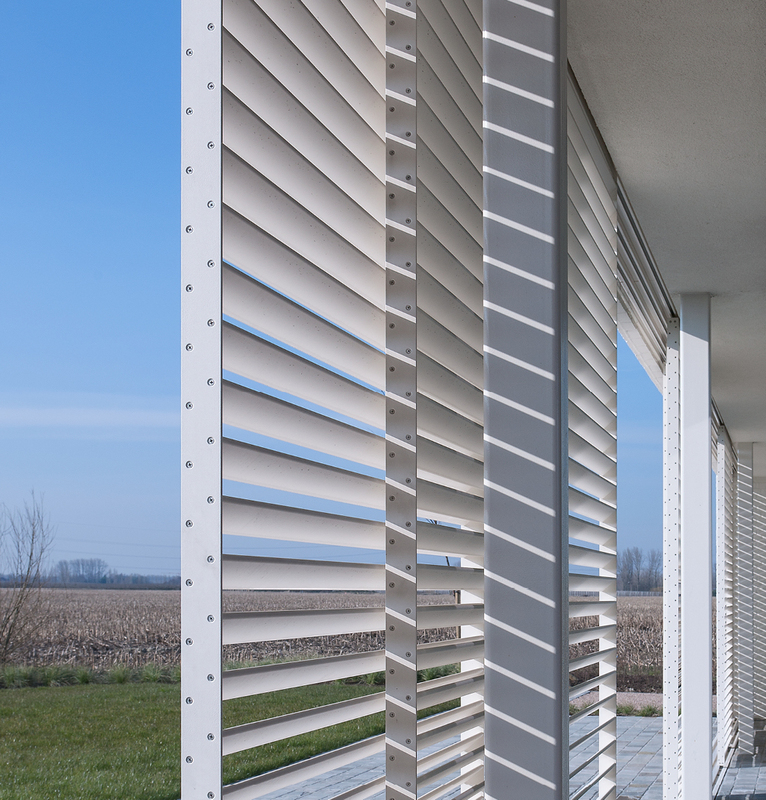 Studio, Duco and Lapeirre Woningbouw pulled out all the stops in order to create a solidly designed residential concept in Nevele in which modern architecture goes hand-in-hand with energy-efficiency, with people at the core of the design. A sleek, sustainable and airtight home with a specific emphasis on the indoor climate is proving increasingly attractive to prospective builders. Consequently, architectural firms and construction companies also need to respond to this fast growing trend. Under the header ‘less is more’ architects Denc! Studio and Lapeirre Woningbouw pulled out all the stops in order to create a solidly designed residential concept in Nevele in which modern and timeless architecture goes hand-in-hand with energy-efficiency, with people at the core of the design. High time then to take a closer look at this wonderful inspirational home to which Duco also made a significant contribution. 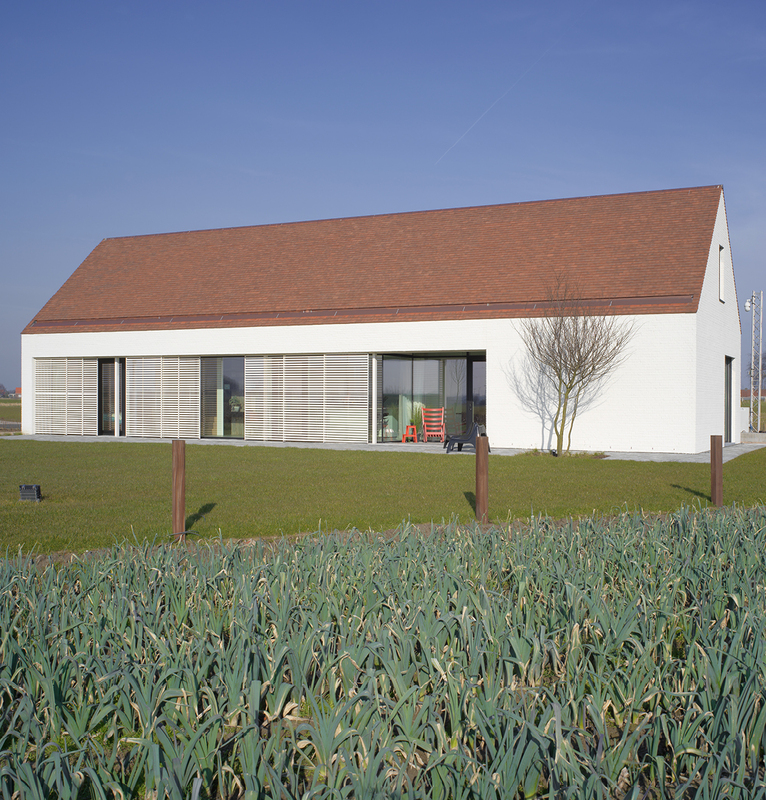 Frequent travellers along the E40 motorway will not only be familiar with the striking KBC Arteveldetoren near Ghent; the new Lapeirre Woningbouw show house in the rural setting of Nevele also forms a clear landmark for passing traffic in the middle of green fields. The derelict building that once served as a farm dwelling underwent a major transformation in January 2015 but the end result is without doubt truly stunning. 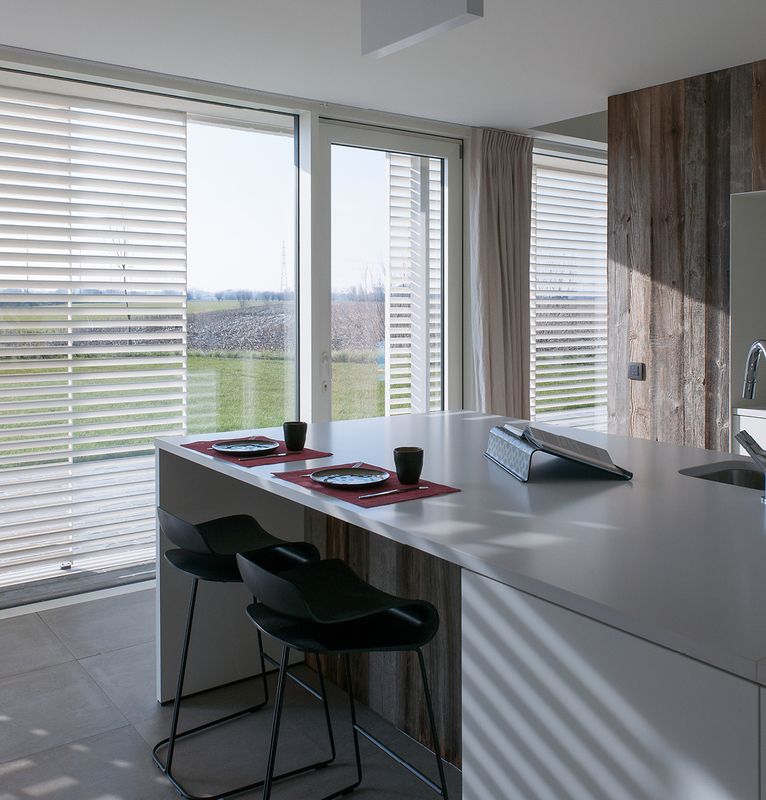 Lapeirre Woningbouw has recognised how fundamental large areas of glazing are in contemporary architecture. Thus, virtually the entire rear façade is built using large areas of glazing which creates a unique view of the surrounding area. 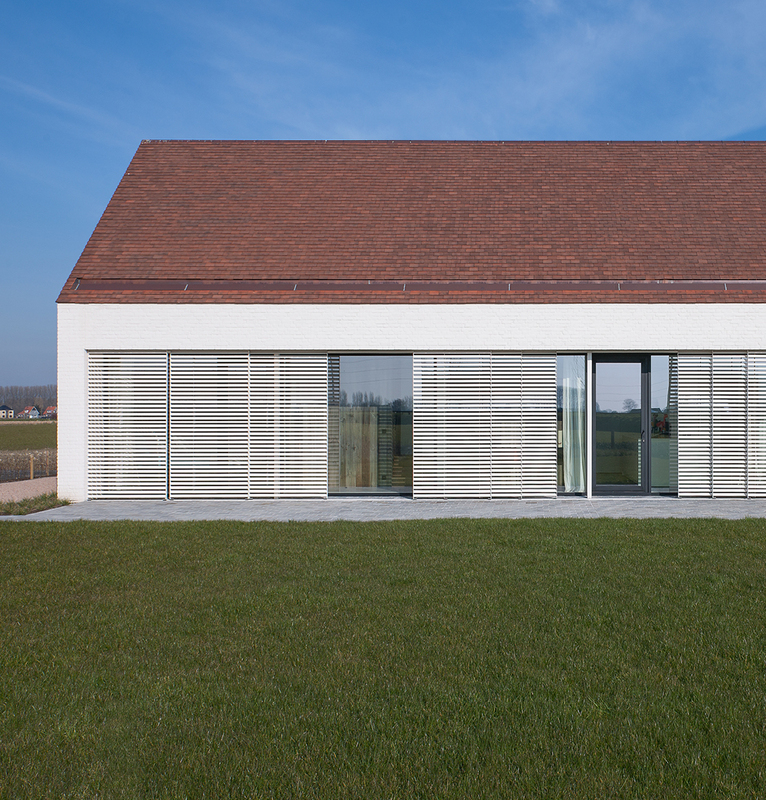 A glass façade also allows a great deal of natural light into the home but this can soon give rise to all manner of discomforts for the resident. What about privacy for example? 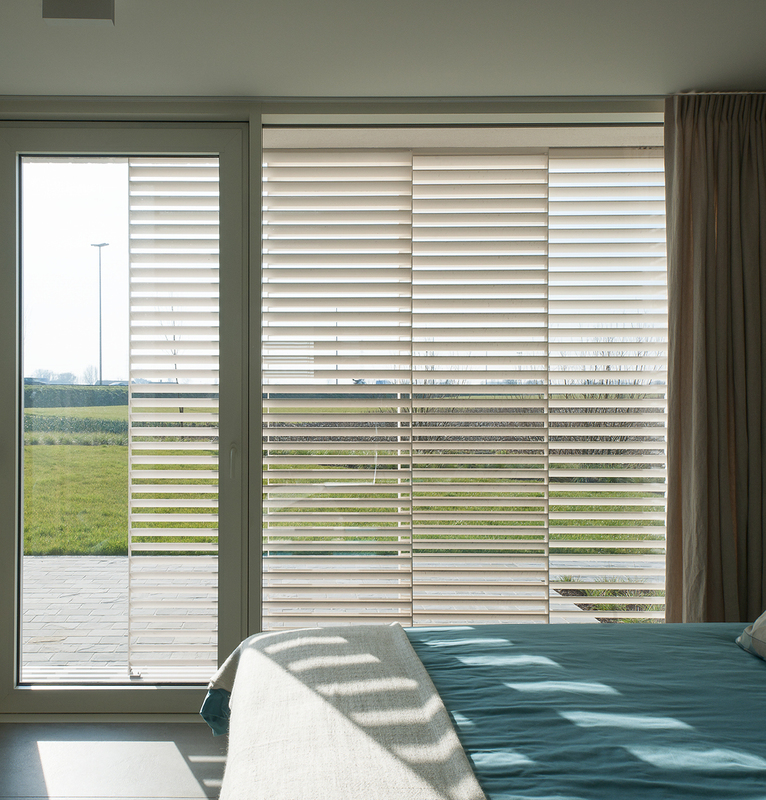 What’s more, large areas of glazing draw in too much heat in the summer and the rising or setting sun can be a nuisance in transitional seasons. 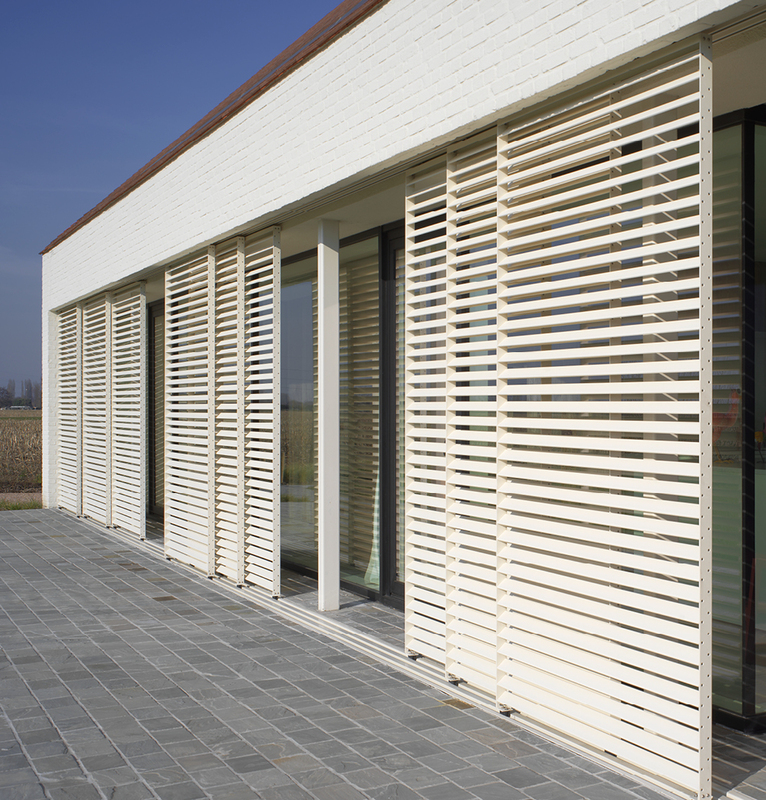 After the necessary study it seemed appropriate to choose external solar shading. 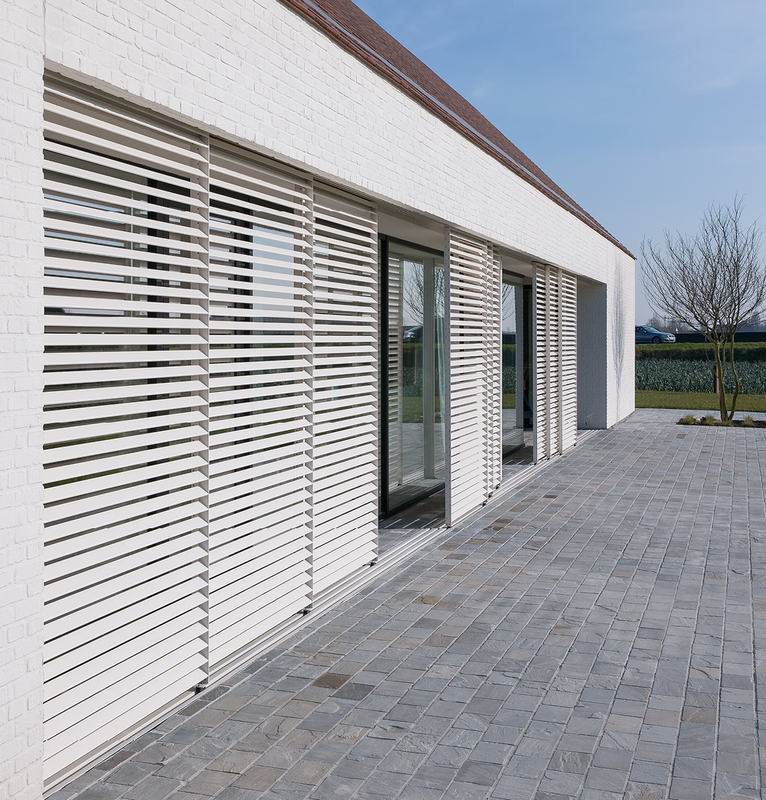 In close consultation with Duco, Lapeirre Woningbouw opted to use DucoSlide, an architectural solution with sliding panels which fits seamlessly with the inspirational concept of the show house. 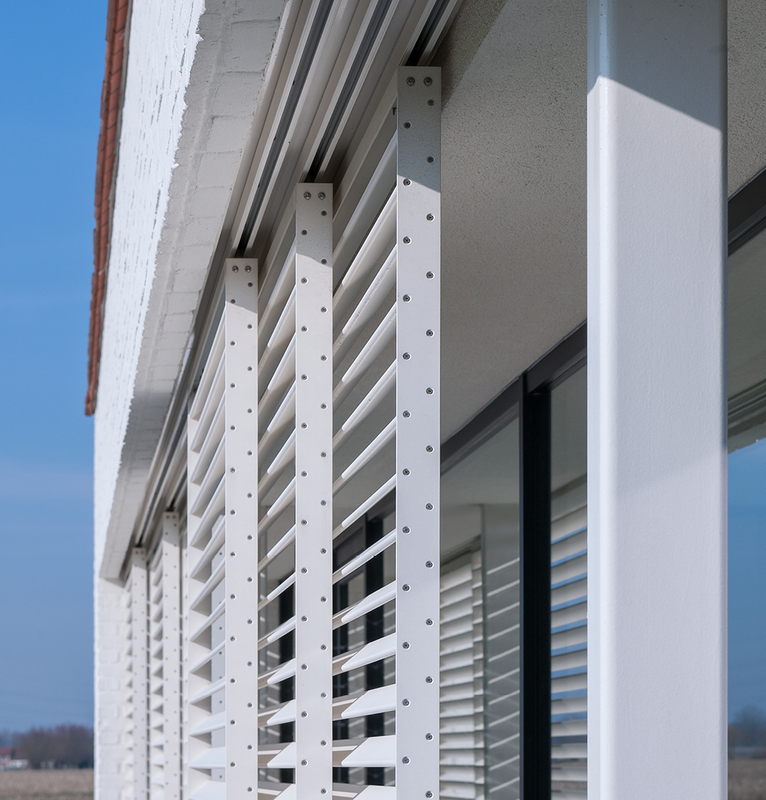 In addition to maintaining daylight and assuring maximum privacy the horizontally installed aluminium louvre blades ensure not only a substantial reduction in the heat in the warmer times of the year naturally. They also let in the heat from the low sun during the colder months, resulting in the optimum energy gain. Completed and officially presented to the general public in the autumn of 2015, the new Lapeirre Woningbouw show house can quite rightly be regarded as the reference point in the region for many prospective builders. 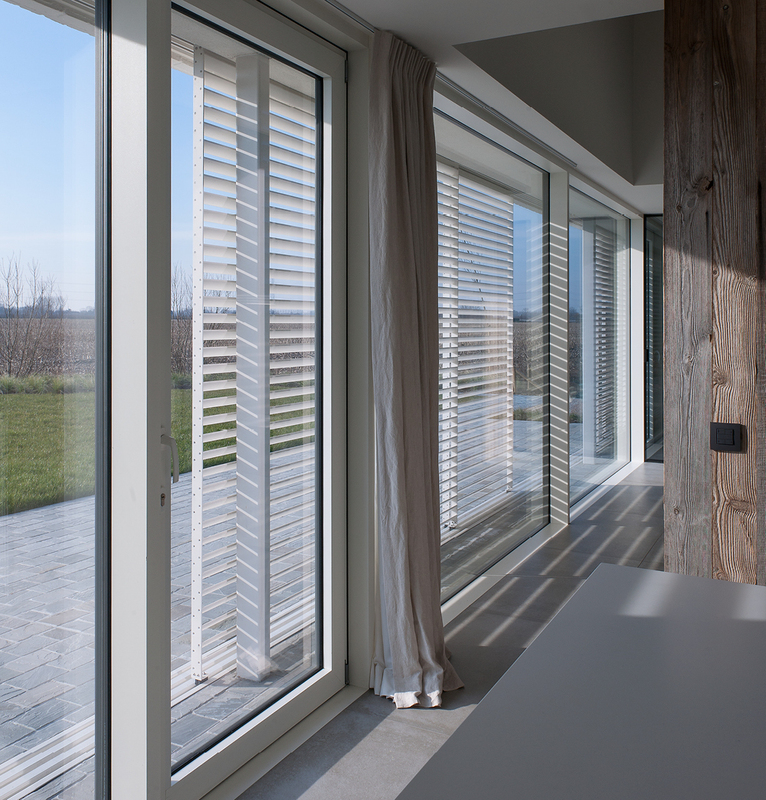 “Thanks to the open and efficient cooperation between the various links it was possible to achieve an inspirational show house with a healthy and comfortable indoor climate and which stands out on account of both its balanced, architectural form and its energy consumption. With an energy level which is way below the current standard, this house is more than fit for the future already,” concludes a satisfied builder.